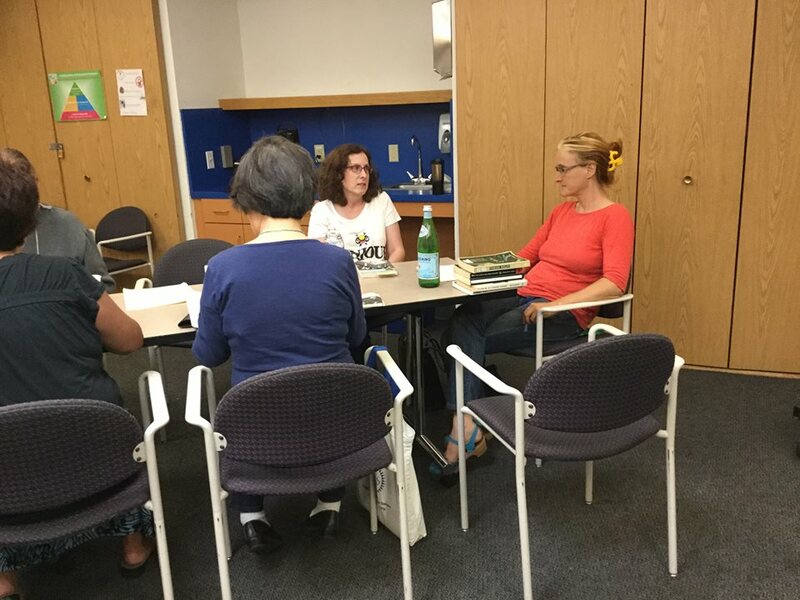 On September 5th, Novella Carpenter lead a very intimate and intense workshop on memoir writing for 12 participants at the Union City Library.Tapping the Apocalypse was the theme of this workshop. She stated that “moments in memoirs happen when something terrible happens to the narrator”. She encouraged the members to write for 10 minutes. And she said to select a time frame in the one’s past that stands out as the lowest point of one’s life . Start with that moment. and tell the story . Tell the story in a way that you would tell a child. Explain, use words. She said “words are free”, use them. See the humor and do not make oneself the victim in the story , she added! In this 1 1/2 workshop, she covered elements of writing scene ,dialogues, and the writer’s voice and many other details and technique from her own writing experience.She also shared the titles of her favorite memoirs :The Glass Castle, The Liar’s Club, The Unprejudiced Palate, This Boy’s Life, and Open. Join our senior library member Bruce Haase and write your memoir. Bruce is a life long reader, he now writes memoire-based, creative non-fiction. These are informal meetings to support each other and organize your thoughts for writing. Sharing is optional. Please bring your pen & paper. so many great tips. Thanks Union City Library. I also wrote a post after the event and will publish on my blog.